Today, is Pictures Speaks A Thousand Words Tuesday! 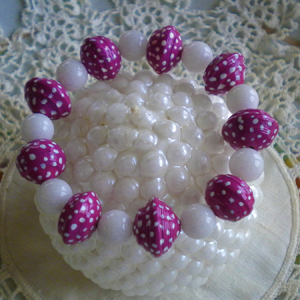 I made a set of bracelets out of the painted Pink Polka Dots paper beads. I reversed the colors to coordinate with each other. 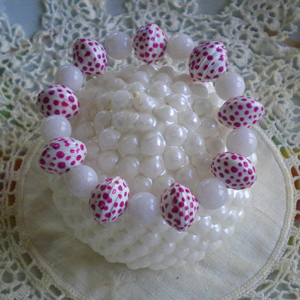 I used the Big Round Paper Beads, they are about 15mm rounds and painted them with a base of neutral color and then the main color of white and pink. 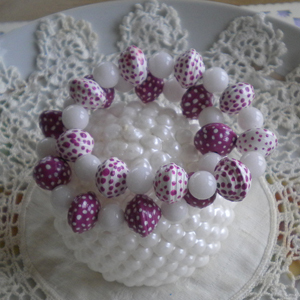 In between are white agate beads. Stay tuned for more painted beads! I saw them on ETSY yesterday and I knew immediately that they were yours~~lol. Love them!! so beautiful!!!! I knew they would turn out great! 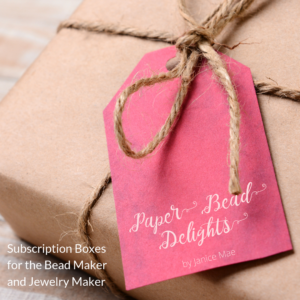 I just love paper beads! Love It! Turned out so cute. 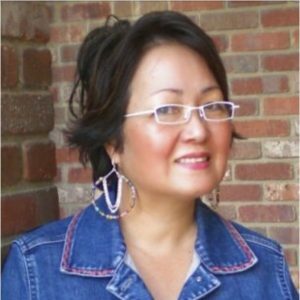 Great job Janice! I love the reverse idea.